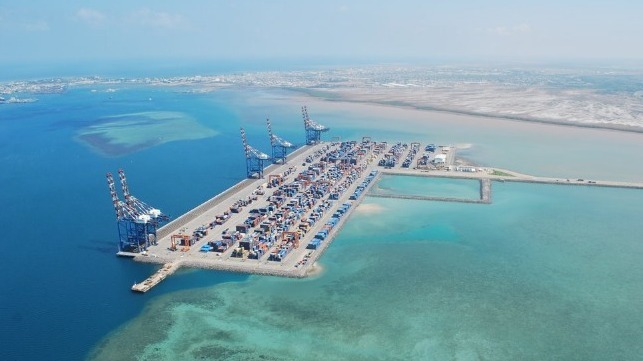 UAE-based ports operator DP World has denied reports that it would consider settling with the government of Djibouti over the loss of its concession at the port of Doraleh. “We remain committed to operating Doraleh port as per original agreement of the concession, and we will not consider any other alternative settlement option,” DP World said. The global terminal operator said that its concession agreement is still valid, despite the seizure of the terminal by Djibouti’s government, and the dispute is subject to an ongoing arbitration process in London. “We await the outcome of this process. We remain committed to operating Doraleh port as per original agreement of the concession, and we will not consider any other alternative settlement option,” the firm said. Djibouti seized Doraleh Container Terminal (DCT) in February, despite DP World’s 30-year concession. DP World says that the government has not offered to buy out its 33 percent share in the facility. DP World responded by filing a new suit with the London Court of International Arbitration. It has also threatened to sue any competitor who signs with Djibouti for the operation of Doraleh. The threat was likely aimed at CMA CGM, which has reportedly discussed a bid to build the next phase of DCT’s expansion – a project that was originally planned by DP World.